Cold-calling salesmen offering everything from linens to limoncello show up at Belle Clementine, David Sanford’s as-yet-unopened Ballard restaurant. 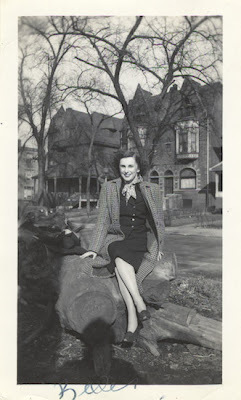 “Is the owner around?” they ask, ignoring the boyish restaurateur in painter pants and dusty boots laboring in the high-ceiling husk of the century-old building that once housed Olsen Furniture. The first time I laid eyes on Sanford I was inclined to overlook him, too. It was 2008, and he was a young dishwasher. Or so I thought. I’ve since come to know this food-focused brainiac, now 28, as a culinary visionary with a well-honed entrepreneurial streak — and a Stanford University degree in entrepreneurial management to back it up. A Mercer Island High School grad, Sanford went pre-med at UW, moved on to Stanford, hitched his wagon to the roving restaurant caravan Outstanding in the Field, lent his business-kopf to a series of Internet startups and worked as a private chef and restaurant consultant. Dave Sanford out standing in a field at Oxbow Farm in Carnation, during an Outstanding in the Field dinner held last year. Today his boots are firmly planted at 5451 Leary Avenue N.W., where he’s come up with a creative, crazy idea of his own: a subscription-based communal-dining experience disguised as a 36-seat restaurant. 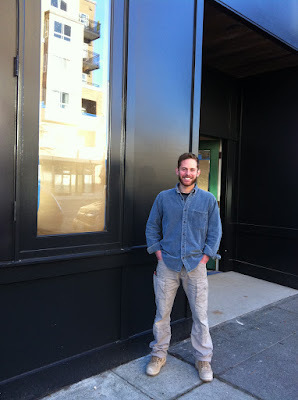 If all goes as planned, Belle Clementine, named for his artist grandmother, will open by December. “For years, I’ve been thinking about building a different kind of restaurant model,” Sanford says. And that’s exactly what he’s done. He’s hoisted planks of reclaimed fir, crafted into countertops and communal tables; worked alongside his contractor installing a vintage library door salvaged from McDonald Elementary School; and fit a backsplash to the six-burner Wolf range in his big country-style kitchen. There, he’ll soon be running the show with a carefully curated crew of cooks who will double as waiters. Creative much? With Belle Clementine, he plans to riff on the Community Supported Agriculture ideal: where CSA customers support a local farm by paying in advance for regular delivery of fresh produce. At his “Community Supported Restaurant,” patrons sign up instead for a series of family-style meals (with two seatings scheduled per night) — food, drink and gratuity included. At his restaurant, you’ll be greeted with a drink. On the menu? “Simple ingredients, treated simply and honestly” (think: seasonal greens, roast chicken, wild mushrooms, homemade pound cake). 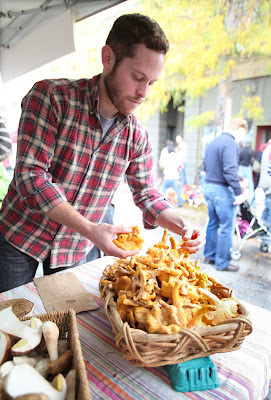 Sanford, foraging for mushrooms late last month at the Ballard Sunday Farmers Market [Seattle Times/Steve Ringman]. Subscribers buy a fixed number of meals. The details will be nailed down before the last nail is hammered, but his target price is “$30-something” per meal. Dinner done, there’s no transaction, unless you want to buy an extra bottle of wine. You just get up and bid farewell, till next time. Uncertain this is for you? Try before you buy! One-time diners will be welcome, subject to availability.